A new chapter is being written for professional cinematography. 4096 x 2440 @ 125 frames per second (fps) . The coveted 65mm format is now a digital reality!The new Phantom digital wide screen cinema cameras aren't just about replacing film or video with some new technology; they're about creating a new way of seeing time. Tell a story from a viewpoint that is not limited by 24 frames per second. The Phantom 65 lets you experience control over your shot in ways that you have never experienced in the past. With the Phantom 65, the 65mm cine frame now exists for you to experience in digital format. 4K! 10 Megapixels! 125 fps! Consider 10 mega pixel resolution at speeds of up to 125 frames per second, plus shutter speed control down to 6 microseconds (1/500,000 second)! You now have precise control over the amount of blur or clarity in each scene. Exposure time is no longer dependant on the camera's frame rate or limited to a few shutter openings. The Phantom 65 lets you set the exposure time in increments of one microsecond. Apply shortened exposure times to achieve the look of a hard edge street video, or lengthened exposure times until you've captured the indefinable, unmistakable feel of film. The Phantom 65's CMOS sensor is comprised of 12.5-micron pixels and uses 14-bit A/D conversion for excellent sensitivity. Using a determined contrast ratio provides full 11 stops of dynamic range. 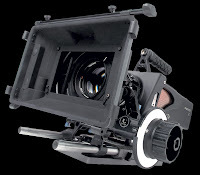 Unlike film production, the Phantom 65 provides an immediate view of the last take allowing you to determine if a scene requires a re-shoot while the lighting, crew, and characters are still set, ready, and the mood is still fresh. View earlier recorded scenes on site to help insure wardrobe or scene continuity, exposure, shutter speed, and lighting effects are exactly what you want before striking the set or move to a new location. The Phantom 65 has allocated formats for standard 70mm 2.21:1 (4096x1860 pixels), HD (1920x1080), UHD (3840x2160), and 35mm mopic at 1.85:1 using an active pixel area of 25.6mm x 1 3.85mm (2048x1108 pixels) making this camera fully compatible with all 35mm equipment as well. User selectable aspect ratios can also be set in 8 pixel vertical increments. Using the available 4:2:2 output the Phantom 65 can be configured for "live" broadcast or studio production and has a continuous video output that conforms to HD (720p, 1080p, 1080psf, 1080i) standards. The Phantom 65 also accepts +12Vdc YPrPb viewfinders or monitors to make shooting any subject clear and precise. The Phantom 65 arrives with 8 Gigabytes of internal memory standard, 16 Gigabytes as an option. But this is just the start of methods we provide to store your work. Take advantage of the hot-swappable non-volatile solid-state recorders -- our Phantom CineMags. These low profile modules mount snugly to the top of the camera body and store 256 or 512 Gigabytes each. Digital imaging provides for multiple triggering and recording modes that can be tailored specifically for your application. Advanced camera setup and image file downloads using a common Gigabit Ethernet connection is accomplished using a PC and the Phantom software. Image files can easily be converted to TIFF stacks, MOV, or AVI formats using this included software package. Stated ISO speeds determined using ISO-12232 specifications. For sales and rentals contact Mitch Gross at Abel Cine Tech.